Where is The Village of Alden Bridge? The Village of Alden Bridge in a community in The Woodlands, Texas, located in North Houston. Its closest highways are I-45, 242, 105 and the Grand Parkway toll road. The Village of Alden Bridge is served by Conroe ISD, including The Woodlands High School, McCullough Junior High School, Mitchell Intermediate School, Barbara Bush Elementary School, and Buckalew Elementary School. The community is home to several parks, three swimming pools, a fishing pond and the Alden Bridge Sports Park. 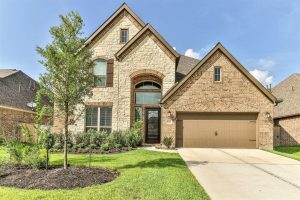 The Woodlands is about 40 minutes from downtown Houston and 15 minutes from Conroe. 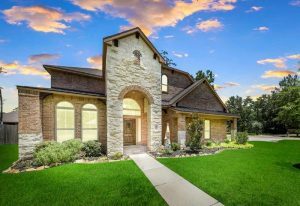 The area is about 30 minutes from George Bush Airport and 1 hour from Hobby Airport. The Village of Alden Bridge was initially developed in 1994, so most real estate in the area hails from the mid- to late-1990s. Homes range in cost from $300,000 to $700,000. There is also land for sale in The Village of Alden Bridge, with David Weekley, Village Builders, Pulte Homes and more still developing the area. 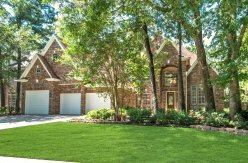 As experienced Realtors in The Woodlands, we’re here to help guide you in your local home search. Contact us today to learn more about The Village of Alden Bridge or to view homes listed in the area.